Creag Eiridh is on the Knoydart Peninsula and is located midway between Inverie village (about 15 minutes walk) and Glaschoille on the northern shore of the splendid Loch Nevis. Situated immediately north east of Mallaig, in the Western Highlands of Scotland, the Knoydart Peninsula is often described as ‘the last wilderness in Great Britain’, and is only accessible by boat from Mallaig or a 2-day (20 mile) hike. The peninsula covers some eighty square miles of wild and beautiful natural landscape, with lochs and three munros. (hills over 3000ft). Iain and Jo Wilson look after Creag Eiridh for us and they will be your local contacts during your stay. 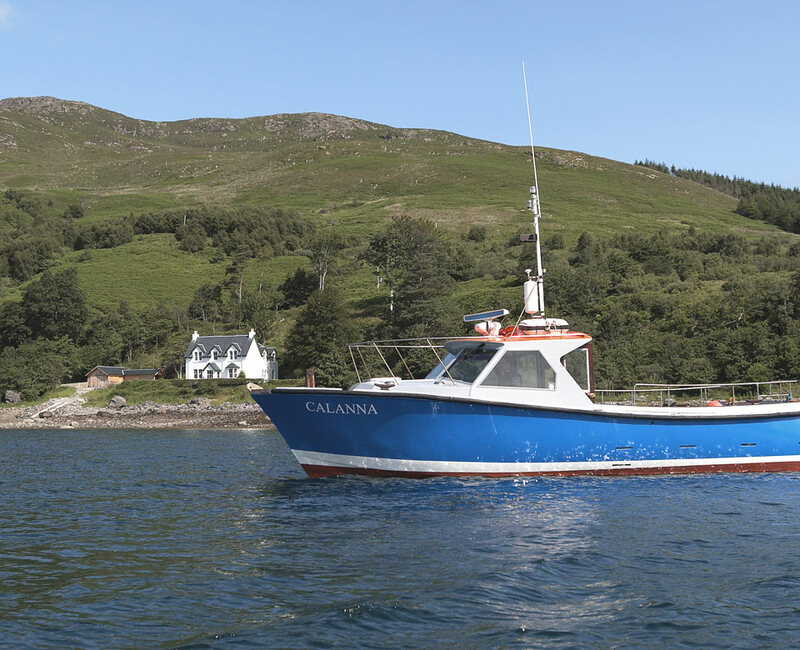 Iain will meet you in Mallaig and take you over to Inverie in his boat, Calanna. Jo will meet you at the pier with a vehicle to take your luggage along to the house.